So you you got a little bit of extra cash and you’re looking to grow your money. There are a lot of ways to go. You can go with time deposits, stocks or bonds. Another option would be start a small business, like a milk tea or siomai stall. While those are all safe investments, there’s nothing fun about that. You know what’s fun? Getting your hands on a jersey signed by LeBron James. That’s what the guys behind Hall of Fame Authentics (HOFA) want you to consider. 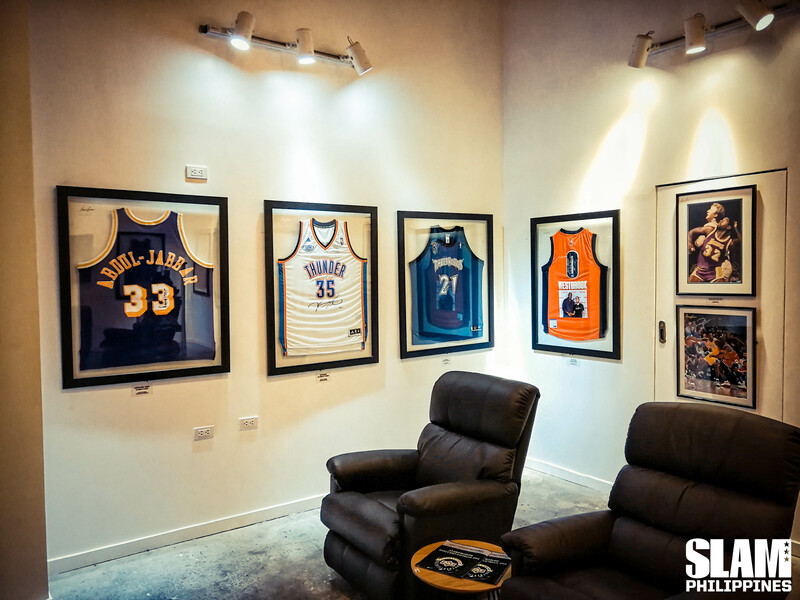 You can take the usual investment route or jump into the world of sports memorabilia collecting. Let Tep Songco, Ron Uy and Elvis Gutierrez be your sports memorabilia brokers. Not only do they have years of experience in collecting, they also have personal experience in the rise and fall of value of of pieces in their own collection. Take Ron for example. He’s been collecting Lakers pieces since 2010. He has some Lakers memorabilia that unfortunately, don’t have much value anymore like a signed, game-used Jordan Clarkson sneaker or signed D’Angelo Russell shoes and jerseys. But then there’s one key piece in his collection that has tripled in value. Elvis, another Laker fan, made the right decision to jump on the Kobe bandwagon back in the late 90s. Because of that he was able to trade for a now, high-value collection. “Meron akong Kobe na rookie card na signed na nakuha ko from trading. Kasi dati, Penny Hardaway lang yung collection ko nung bata ako. There was this one guy na he had all of these Kobe cards. So sabi niya, ‘Bro trade tayo ng collection. 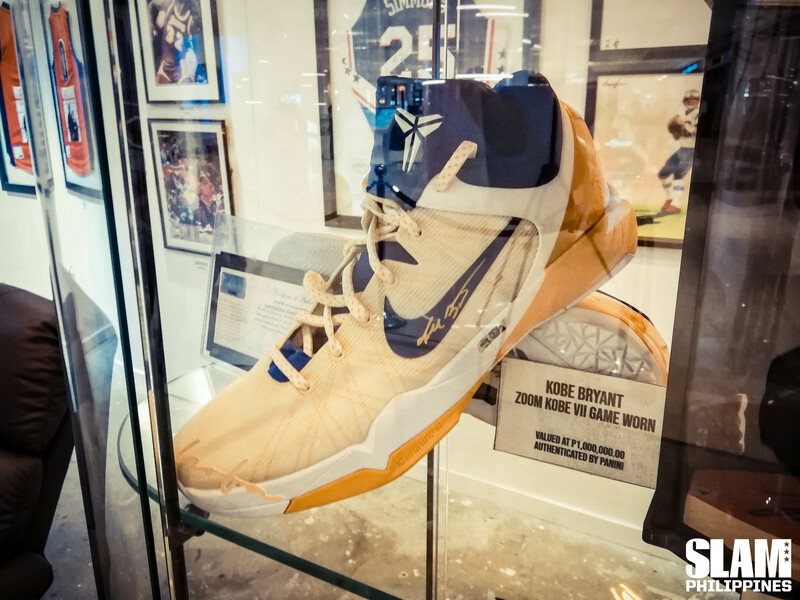 My Kobes to your Pennys.’ Pinag-isipan ko ng mga one week, kasi Penny Hardaway collector ako e,” he explains. Tep made an even bigger trade to acquire the crowning glory of his collection. 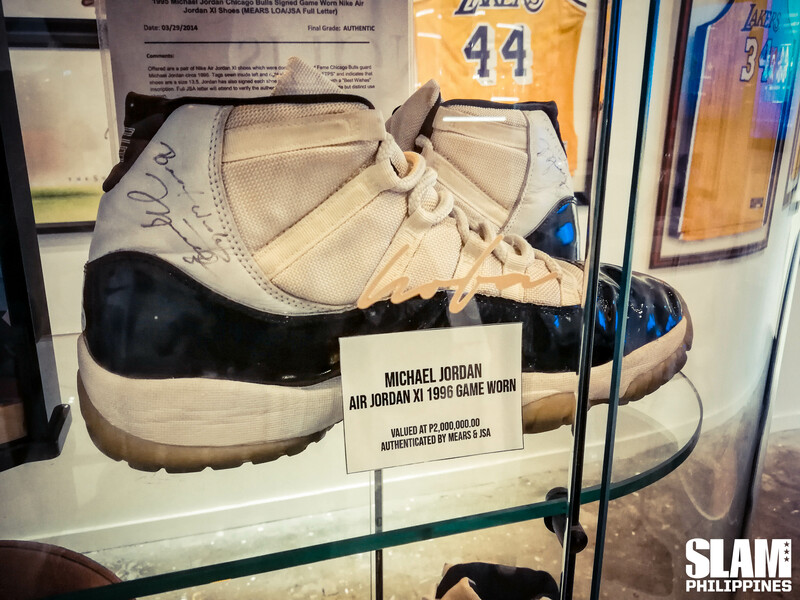 “I have this other piece also, the game-used Jordans (Jordan 11 Concords). I got it for 400,000, now it’s around 2 million,” he shares. In essence, Tep traded his spare car which would be fully depreciated now for a piece of sports history that that’s now five times the purchase value. 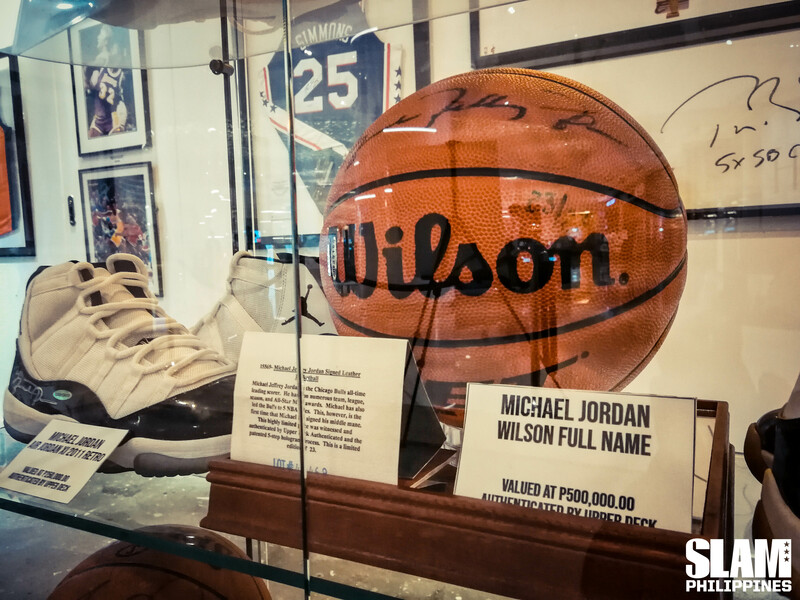 Surprisingly, the iconic, game-used Jordans isn’t the piece with the highest increase in value. Tep has another piece which is now nearly eight times what he got it for back in 2010. Just like any good investment, it’s all about being smart in what you invest in. With their experience, the HOFA guys are ready to share their advice to those new to the sports memorabilia collecting game. “The companies providing these certificates are in tiers. Pinaka premium parin are the companies that have contracts exclusively to athletes. Because you know they’re getting paid for every signature. And they’re not supposed to be signing for other people, kasi nga exclusive siya,” he explains further. HOFA has partnered up with companies like Upper Deck, Panini and Steiner, companies that have contracts with players to make sure that the products they are selling are 100% authentic. They also work with PSA, JSA and Beckett to help them authenticate signed items. They also advise collectors to know the players that they’re interested in. Get a deeper understanding of their games so that they’ll know how the career of the player will likely turn out. 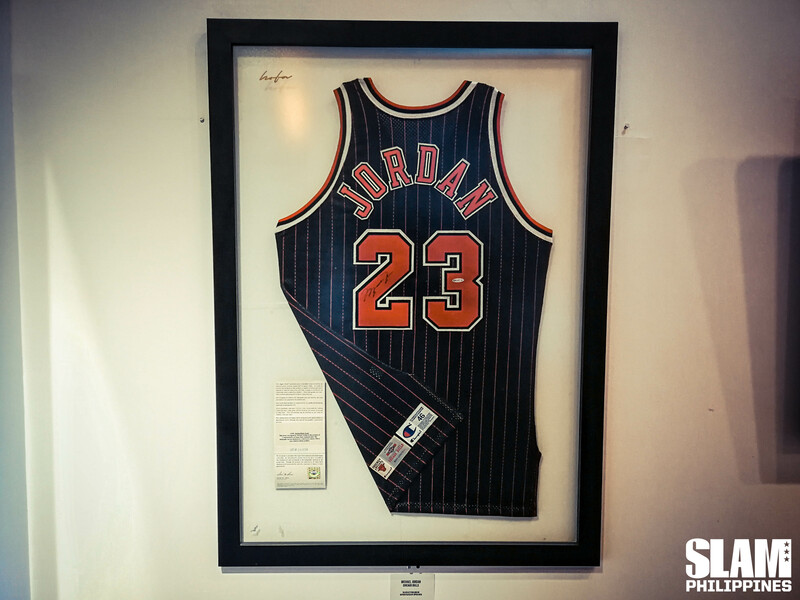 Narrative plays a big role in the value of memorabilia. “When you’re collecting and you’re looking at it as an investment, you also have to do it kind of like the stock market or in any real estate market na pag may financial crisis natatakot yung mga tao, that’s the time you pounce,” Ron says. 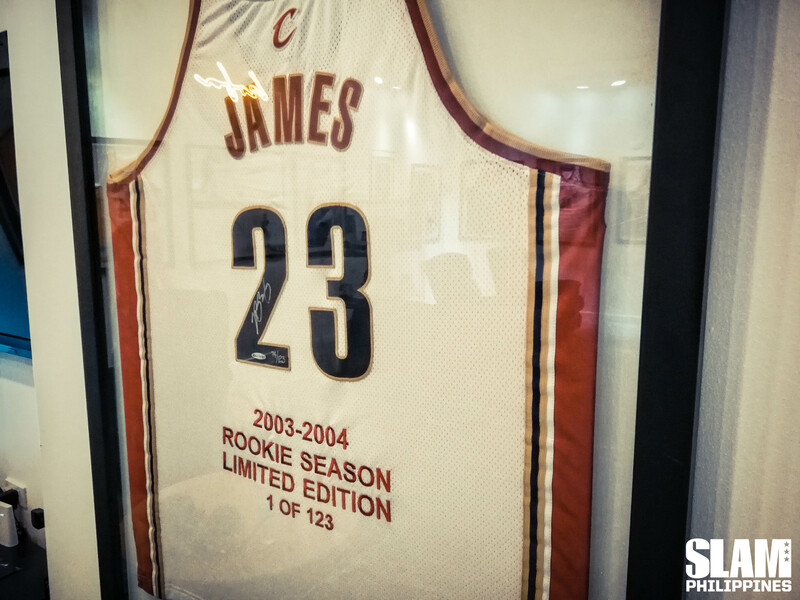 In the case of Tep’s LeBron rookie jersey, he bought the piece at the right time. Back in 2010, LeBron was at a low point in his career. He was viewed as a villain for his “Decision” to play in South Beach. Worse than that, he was labelled as a “choker”, losing in the Finals, unable to power through tiny JJ Barea. Because of that, Tep was able to steal the collectible at such an affordable price. After he won all those championships and MVPs, his stock rose once again. With it, the value of his memorabilia. Now, he’s one of the safest bets when it comes to collecting signed items. “Like if people ask me right now, who would I invest in, LeBron! He’s not yet retired, he can still add to his accolades, he can chase Kareem. Marami ka pang ‘bump’,” Ron explains. Those bumps happen when a player reaches certain milestones in his career. If they win an MVP or a championship, the value of their memorabilia rises. When they retire and make it to the Hall of Fame, expect another bump up in value. That’s why being a fan first is so important when it comes to collecting sports memorabilia. At the end of the day, the sentimental value of a collection will always outweigh their monetary value. “You gotta be happy first, huwag mo muna isipin yung money,” Ron advices when starting a collection. “You have to have a connection with that certain piece,” Tep says. “Kung hindi ka naman fan, kapag nag-flop or na-injure, na-trade, na-punta sa China or whatever, as long as you’re a fan, you love that player or you watched that game, you have memories. That’s why it’s called sports memorabilia. You remember something na nangyari doon sa sport na ‘yon. “Connection e. Kapag nakita mo, it brings something to you, may nararamdaman ka. Kung baga, may nostalgia diba?” Elvis adds. Elvis, who recently got into sports memorabilia collecting, made it a point to make a Kobe-signed Game 7 poster of the Lakers’ championship against Boston the first piece in his collection. The HOFA guys are fans of the game, first and foremost. And they want to share the joy collecting sports memorabilia gives them to the rest of the Philippines. That’s also why they won’t stop collecting. They’re still out to get their dream pieces. Ron is on the lookout for a game-used, signed Kobe jersey. Elvis wants to get his ticket from Kobe’s 65-point explosion against the Trail Blazers signed. Tep is eyeing something big, literally. Start collecting (or investing) with HOFA. 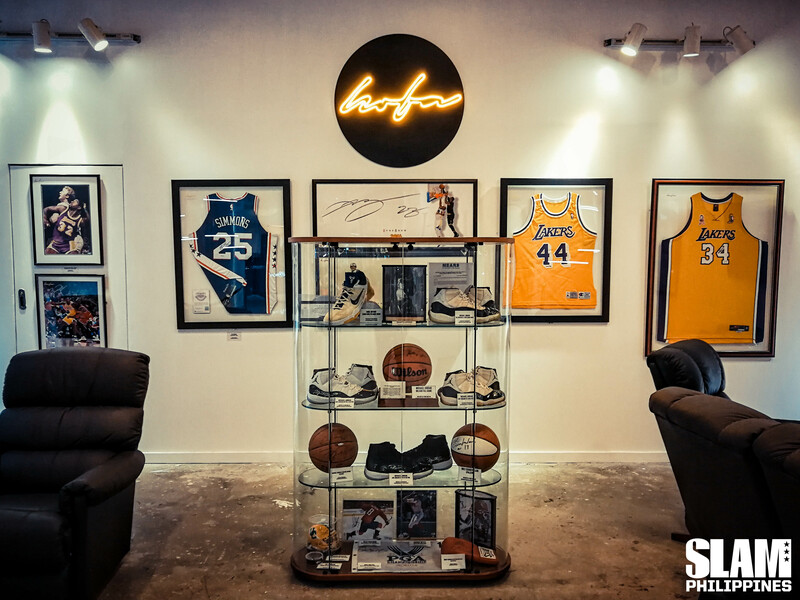 All photos were taken during the HOFA x LAZBoy Mancave Exhibit.